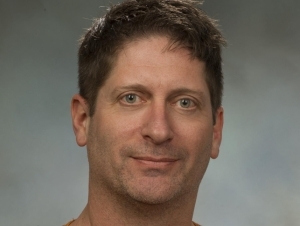 Christopher Pennuto, professor of biology, was recently awarded a five-year, $3.5 million grant from the New York State Department of Environmental Conservation, Environmental Protection Fund. The grant, administered by the Sponsored Programs Office, will allow Pennuto and his team to continue and enhance their work through the Western New York Partnership for Regional Invasive Species Management, or WNY PRISM. The program aims to provide expertise on invasive species management, coordination, and outreach education. It’s the second consecutive time Pennuto was awarded the grant. “Mainly, it’s going to allow us to expand activities and hire some more full-time staff,” he said. Currently, WNY PRISM, which is housed on the Buffalo State campus in the Great Lakes Center, has two full-time staff members. The grant will allow that number to jump to four, Pennuto said. It will also provide funding for 25 summer boat stewards and four summer management interns. “All of those individuals are engaging in invasive species education, awareness, and management for the eight counties of Western New York,” he said. There are eight PRISM offices throughout the state, Pennuto said, and as the acronym implies, they work with local organizations having a stake in invasive species management. The boat stewards program, which expands under the new grant from four boat stewards this past summer to 25, will provide a steward at 20 boat launches throughout the eight counties of Western New York, Pennuto said. Stewards work from May through September. In terms of which invasive species poses the most threat to Western New York, there are a variety of answers, Pennuto said. “There are different ways in which any of us might interact with invasive species, and in the ecological interactions these species have with other species they encounter,” he said. For example, the Emerald Ash Borer attacks ash trees, which are often used in municipal landscapes. That becomes a problem for local cities, towns, and villages.